This 2016 report provides an economic overview of the Canadian agriculture and agri-food system using the most recent data available. The recently released report An Overview of the Canadian Agriculture and Agri-Food System 2016 describes the Canadian agriculture and agri-food system as "a complex, integrated and competitive supply chain with great importance to the Canadian economy. It is a dynamic and resilient system that constantly tries to adapt to changing consumer demands, technological advances and globalization." It is meant to be a multi-purpose reference that presents "a snapshot of the composition and performance of the agriculture and agri-food system as it evolves in response to challenges, opportunities and market developments". - In 2014, Canadians spent $195.7 billion on food, beverages and tobacco products. This represented the second-largest household expenditure category, after shelter. - Real spending on food and non-alcoholic beverages increased by 2.2% in 2014, due in part to a slight increase in retail food price inflation in Canada. 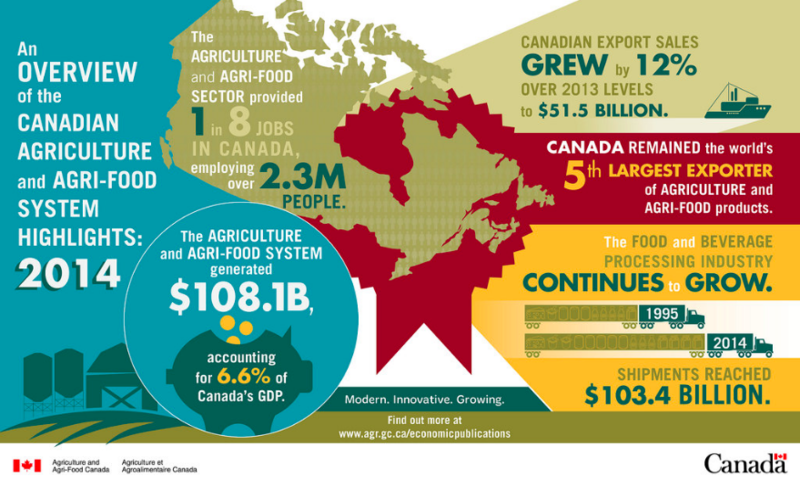 - The agriculture and agri-food system generated $108.1 billion, accounting for 6.6% of Canada's 2014 GDP. - In 2014, the agriculture and agri-food system provided one in eight jobs in Canada, employing over 2.3 million people. - Expressed in dollar terms, government expenditures (federal and provincial) in support of the AAFS were estimated to be $5.3 billion in 2015-2016. As a share of the agriculture GDP, government expenditures are estimated to be 26.0% in 2015-2016. That figure was 25.9% in fiscal year 2014-2015. - Canada was the world's fifth-largest exporter of agriculture and agri-food products after the European Union, the United States, Brazil and China in 2014. - Canadian export sales grew by 12.0% over 2013 levels to $51.5 billion in 2014, increasing Canada's share of the total value of world agriculture and agri-food exports to 3.6%. May 9, 2016 - This 2016 report provides an economic overview of the Canadian agriculture and agri-food system using the most recent data available. Furthermore, the federal, provincial and territorial governments are currently working together to develop the next agricultural policy framework to launch April 1, 2018 (Growing Forward 2). They are currently asking the public to help them shape the direction of future policy and programs for the agriculture and agri-food sector. 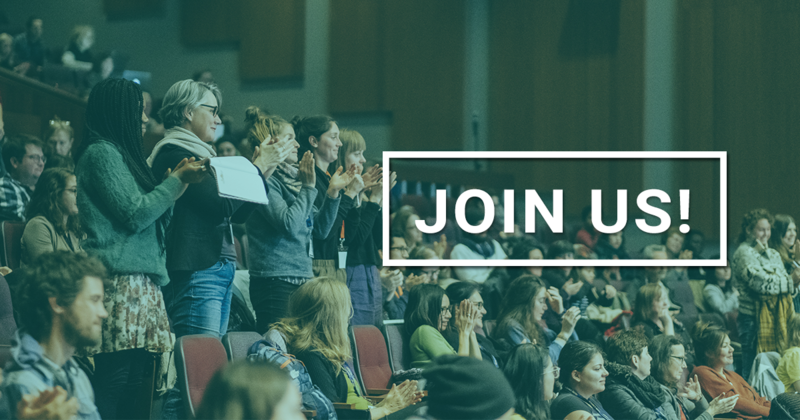 Formulate your comments to the Government of Canada. Permalink Submitted by emeliaingram on Fri, 2017/10/06 - 2:11am. In a food system a competitive supply chain is important and plays a huge part. A competitive supply chain can drive an economy to success. Integration of new technology in the supply chain can also be very efficient and effective. In the food system of course the food is considered as perishable goods so the supply chain must be very sensitive and definite and also sophisticated. The demand for the supply is changing so a better supply chain can cope up with this kind of situation. Permalink Submitted by vishakha366 on Wed, 2019/02/20 - 12:55am. Glad to be a part of such kind of information and i was getting bored and then i have got many things from this article.Thanks for your efforts and i hope for more in future.